Directed by Peter Jackson and starring Mark Wahlberg, Rachel Weisz, Stanley Tucci, Saoirse Ronan and Susan Sarandon. 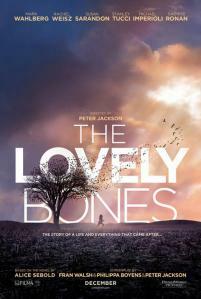 The Lovely Bones suffers from a bad case of multiple personality dissorder. On the one hand it tries to be a very dark, crime thriller but on the other it’s a fantasy tale of a young teen’s journey through limbo. Had the film stuck to just one of these tones, it may have actually been watchable, but seeing as how it didn’t, it made for an unbearable two hours. The movie tells the story of a 14-year-old girl, Susie Salmon (Saoirse Ronan) that is murdered by her neighbor George Harvey (Stanley Tucci) and that’s really where it should’ve stopped. 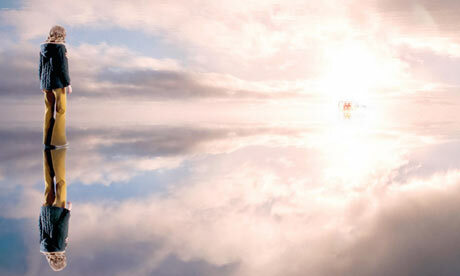 It goes on, however, to show us Susie’s spirit running away to magical Limbo-Heaven-Place where she observes how her family and Mr. Harvey cope with her death. Don't go into the light! DON'T GO INTO THE LIGHT! This is where the movie quickly goes down in a spiraling ball of fire. We follow Susie around in her own personal Dayglo Limbo, full of giant rainbow balls floating in front of mystical mountains, and we sit and watch as she plays dress up and dances on giant Vinyl records with some random Asian girl (who’s character isn’t explained AT ALL until about 15 minutes to the end of the movie). These sequences don’t capture any sort of confusion or apprehensiveness that Susie is feeling but instead portrays Limbo as like this totally awesome place where like, teenager girls can like totally have an awesome time like! Now hold on a second, ok so the sequences didn’t do it for you but at least they looked good right? WRONG! The CGI used in this movie seemed incredibly out dated and nothing amazing or new was done with the effects, leaving them not only confusing but unattractive. The best of both worlds. Meanwhile back on Earth, Susie’s parents are mourning over her loss and as time goes by they begin to handle their emotions quite differently. 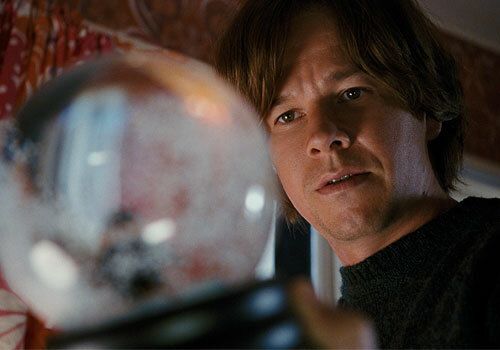 Marky Mark plays her father, Jack who becomes obsessed with finding Susie’s killer, completely consumed with rage and bringing the killer to justice, pushing himself further and further away from his family. Or at least, I think that’s what was going on, it was hard to decode Mark Wahlberg’s blank staring. "Man, I miss the Funky Bunch." Having said that, Mark gave a better performance than I thought, significantly better anyway than Saorise Ronan, who’s dreamy, innocent narration came across as bored and nearly put me to sleep. It’s hard to stay interested in a film when the main character obviously would rather be dancing around on rainbow clouds than taking the time to tell us about her life-I mean death-I mean…you get it. Abigail (Rachel Weisz) is Susie’s mother and is quite possibly the most bizarre character in the entire film. Instead of taking solace in visualizing the bashed-in skull of her daughter’s killer (like her husband Jack) she wants nothing to do with finding closure and is so engulfed with grief, or one of those other crazy emotions, that she leaves her family. It would be an interesting dynamic if it wasn’t so rushed that it just seemingly popped out of the blue in an “oh by the way I’m leaving all of you to become an apple picker, see ya!” sort of way. The one diamond in this very, very rough movie is Stanley Tucci who plays Susie’s murder Geroge Harvey. 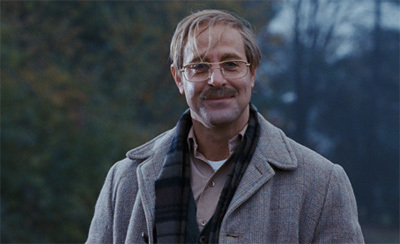 Tucci does an amazing job of playing the obsessive serial killer and completely steals the show. George is a man full of internal struggle, constantly trying to ignore that hunger to kill again until it eventually consumes him and he targets poor Susie. Tucci was fantastic at embodying the character physically, and he was able to communicate such menace just by walking around in a room or by the way he stood, he never needed to say a word. Unfortunately, there just isn’t enough of him in this flick, it spends way too much time on Susie in Limbo instead of sticking to its much stronger character, Harvey. If I was forced to recommend this movie to anyone it would be solely for Stanley Tucci’s performance. However, seeing as how he’s only in the damn thing for about half of the movie, I’d go tell them to watch Julie & Julia instead. So, in short do not watch this movie. Oh, and remember, if a forty year old man that lives alone and builds doll houses for a living asks you to come and check out his super cool underground club house … turn around and run away as fast as you freaking can. On second thought, he looks like a nice guy.